There are very few establishments that can offer you more than what you asked for. Easy, delicious lunch. Check. Healthy and organic food. Check. Excellent cocktail and drink specials. Double check. What about a place that’s also a club featuring great DJs and a dancefloor where you and your besties can party the night away? Sounds like you need to check out Arcade Cafe on Bree Street. One of the biggest misconceptions about Arcade Cafe is that it is just a bar that serves drinks. What makes it a hidden gem, though, is that Arcade Cafe also offers good quality food. Whether you are looking to pop in for a bite to eat during your lunch hour or having a good hearty meal with your friends, Arcade Cafe has you sorted. Expect an extensive range of pizzas, burgers and salads, all fresh, free-range and organic. And there’s no need to leave your gluten-free and vegetarian friends behind, there are options for them here too. The meals that the locals keep coming back for are the Chucha pizza, topped with roast chicken, green salsa and drizzled in yoghurt; the Pablo pizza, which features parma ham and rocket; and the Brooklyn burger, which is a delicious mix of streaky bacon, avocado and pickled red onion. 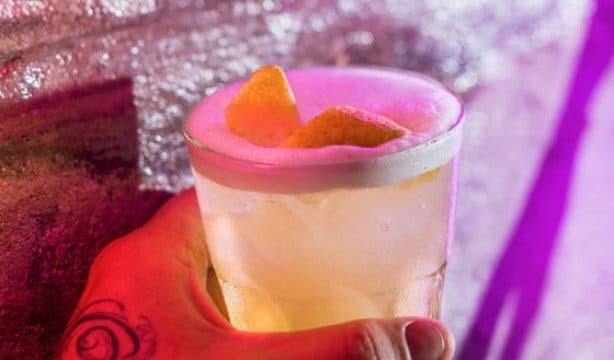 You can pop into Arcade for a delicious cocktail such as the gin-based Negroni, which is the one the owners suggest everyone tries. If you’ve tried the Negroni and are looking for something new, the Paloma, made from Altos Blanco, pomegranate and pimento syrup, grapefruit and fresh lime, is sensational. 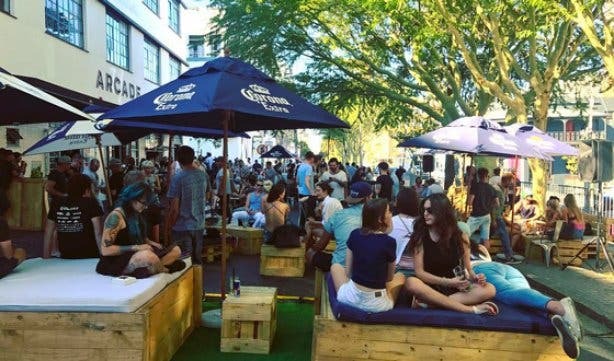 Of all Cape Town’s clubs, Arcade Cafe is known by locals as the place you always want to go back to. 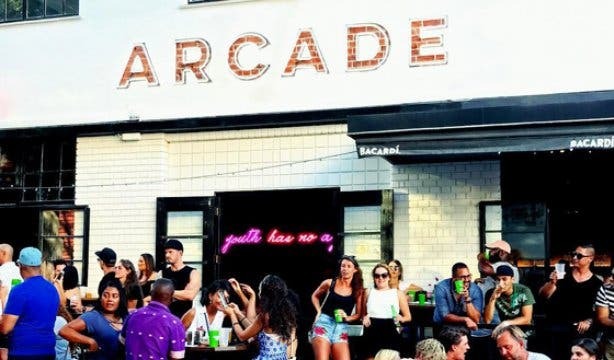 From their top-class selection of DJs to the full-stocked bar and the dance floor that you can dance the night away on, Arcade guarantees a good night for you and your friends. It’s the perfect spot to stop on a girl’s night out or a bachelor or bachelorette party. And even if clubbing is not your vibe, you can still stop by for a drink after work. It’s the ideal place to catch up with your friends, have a bite of pizza and sip on one of their stellar cocktails. Everything about Arcade Cafe encourages you to enter – from the open plan space to the smiling staff. Even once it becomes a club in the evenings, the crowds spill out onto the pavement, creating a unique and vibrant spirit that makes you want to join in and be part of the fun and festivities. Arcade Cafe is ultimately a place that you can go to at any point in the day and be able to find what you want, including lunch, dinner, drinks or partying, and that is the drawcard. Whatever you’re craving, Arcade Cafe has it. Even if you’re looking for a venue to host a function, from a birthday to office parties, Arcade Cafe offers loads of space, a fully-stocked bar and a full entertainment system. Tip: Pop into Arcade Cafe during the Soccer World Cup from 14 June to watch the matches live, score on drink specials and take part in some great competitions. Bill: Meals range from about R65 for the End pizza to R140 for the Pablo pizza. If you feel restless before New Year’s Eve, go to the party before the party. In the mood for some delicious pizza? 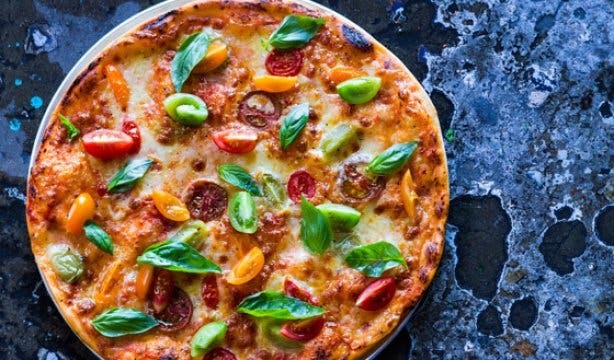 Take a look at our favourite pizza spots in Cape Town. 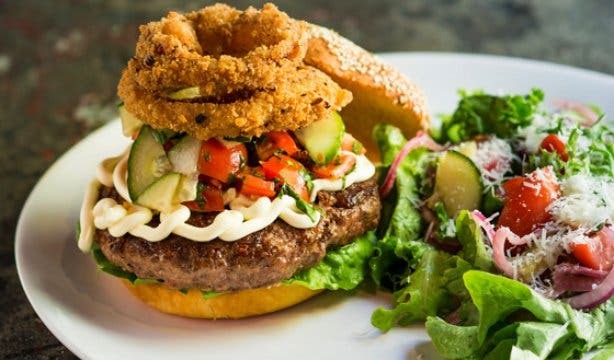 If burgers are more your style, we have a list of great burger places too. 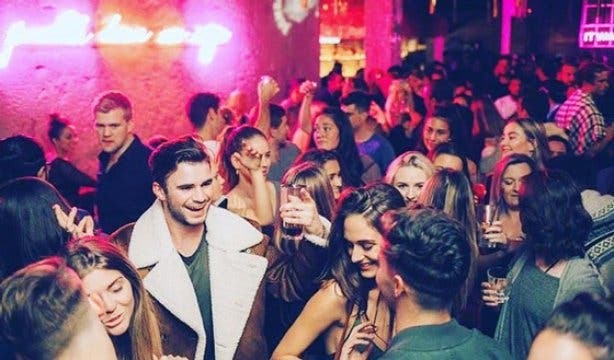 And if you are seeking a great nightclub to dance the night away at, we have you covered with some great Cape Town nightclubs.